That’s a wrap – what an Oz-some experience we had! Stay tuned for our next production. Follow Us Down the Yellow Brick Road! There’s truly no place like home in the greatest family musical of all time! Travel down the Yellow Brick Road and beyond with Dorothy, Toto, and their friends the Cowardly Lion, Tin Man, and Scarecrow in this majestic production featuring breathtaking, dazzling choreography and classic songs. 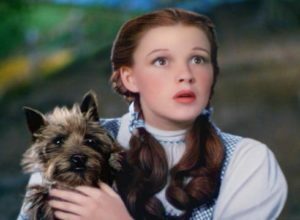 A celebration of the iconic 1939 film The Wizard of Oz will blow you away from the moment the tornado touches down and transports you to a dazzling Oz, complete with munchkins and flying monkeys. On this artistic journey, our audience will encounter themes of friendship, confidence, dreams, and appreciation. If you need additional information, please contact Director of J Performing Arts Space, Alise Robinson, at arobinson@jccdallas.org. Please purchase before Tuesday, April 30 to reserve a copy. Online tickets sales for the Ruby Slippers performances are now closed. Tickets available for purchase at the door on the day of the performance(s). 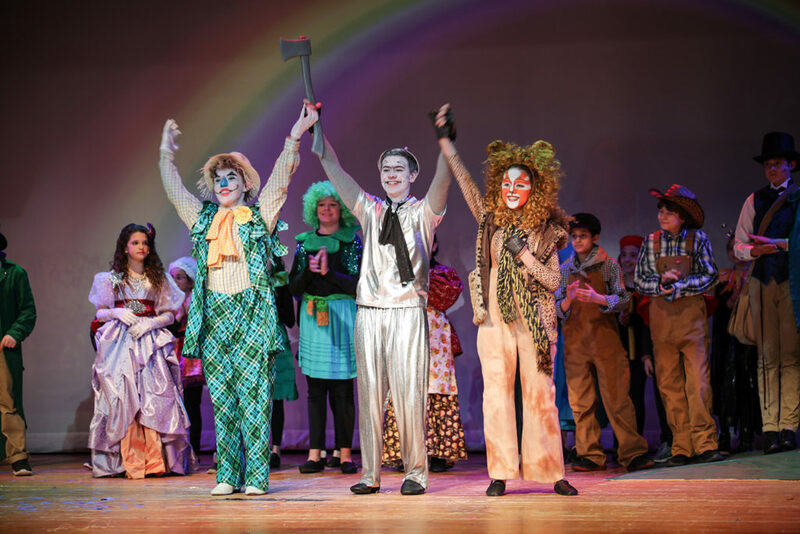 In honor of the JPAS spring production of The Wizard of Oz (Young Performers’ Edition), the JCC is transforming into the merry ole land of Oz from February 11 – 18. Oz-some Week will be a festive week celebrating this beloved musical throughout the JCC. In addition to a Membership Special, we will be featuring special Sports & Fitness classes focused on heart health (shoutout to the Tin Man! ), fun giveaways and Oz activities for our seniors and GECC students. In celebration of Oz-Some Week, take advantage of this week-long membership special! 2 tickets to one performance of the JPAS production of the Wizard of Oz. Because February is heart awareness month, and in recognition of JPAS’ production of Wizard of Oz, there will be a special event Zumba class led by Ernesto and special guest Krystal. We think everyone needs a pal like Dorothy needed Toto, so we hosted an adoption event at the J with the Humane Society. In addition to the adoption event, we will be collecting donations for items needed by the Humane Society. Look for bins around the J to drop off canned dog and cat food, dried dog and cat food, cat toys, dog treats (medium to large), bleach, liquid laundry soap, dish soap, and Clorox wipes. In celebration of our upcoming live performances of the Wizard of Oz in April, come enjoy an amazing evening of fun and entertainment, watching and singing along to one of the most iconic movies of all time. Movie will begin at 5:30; movie is about 1 hour and 45 minutes. $5 per person; price will increase to $7 per person at the door. Each actor will receive one complimentary ticket. Please share these resources with your actor each week so they can be ready for the next rehearsal. We have a great opportunity to make lasting memories in print. 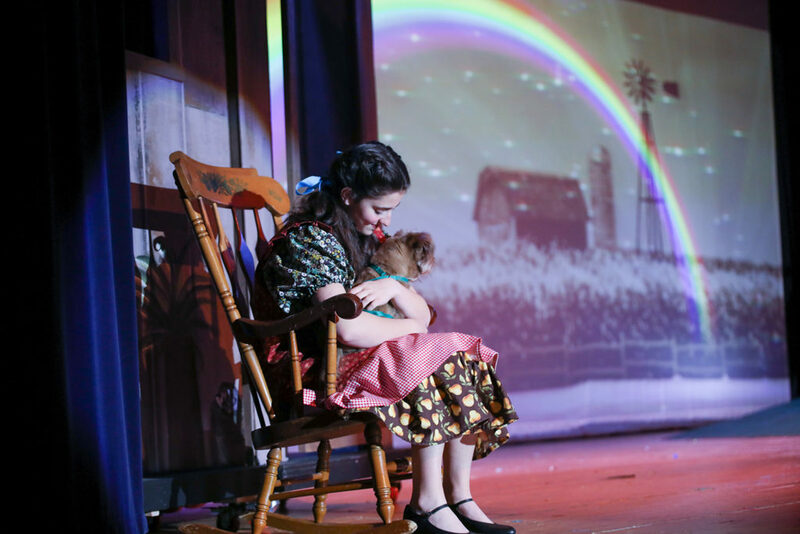 By advertising in our Wizard of Oz Playbill, not only will you touch the hearts of your hard-working performers, but you can also help us grow our performing arts program. The J Performing Arts is committed to igniting the spark of creativity in our youth by providing top-notch theater/performance programs with the best instructors Dallas has to offer. We have amazing things coming down the pike and your contributions will REALLY make a difference! Thank you for being incredible supporters of the arts at the J! We greatly appreciate you and your amazing children. All proceeds help fund the JPAS Program throughout the year, allowing us to be one of the preeminent Youth Performing Arts Programs in DFW. It’s a great way to show your love and support for your child or friend! Friends and family who can’t attend can still send their good wishes! Both small or large businesses can promote their companies to over 1,000 target audience members (mostly men and women 35 – 55 years old with children). Click the ‘purchase ad’ button below, select an ad, and pay for whichever size ad you want. After your ad is purchased, send an email to arobinson@jccdallas.org that includes what size ad you purchased along with your “note” and/or a high-res 300 DPI JPG (picture) you would like to use in the ad. Sending a picture is optional. You may also send your ad already designed as a high-res JPG or PDF. Otherwise, we will create your ad for you. MUST WRITE IN SUBJECT LINE: “actor’s name” followed by the word “AD” and what cast they are in (example: Alise Robinson – AD Emerald City Cast). Every actor will need to submit a bio for the playbill. If it is not received by February 13, it will not be placed in the playbill. First sentence must read as follows: Performer’s name, role, age, grade and what school they attend (in that order). Please be mindful to italicize production names and capitalize when necessary. Refer to the sample below for guidance. Lindsey Fetter (Egg/Who/Fish/Circus Person) is 9 and is in 3rd grade at Parish Episcopal School. She has participated in past JPAS Productions including The Little Mermaid JR. and Guys and Dolls JR. Lindsey also loves being on the JCC Gems gymnastics team and the Parish Heartbreakers soccer team. Her favorite musical is Annie. Lindsey would like to thank everyone who has helped to make Seussical JR. a terrific show! Email your actor’s bio to arobinson@jccdallas.org no later than Wednesday, February 13. MUST WRITE IN THE SUBJECT LINE the “actor’s name,” followed by the word “BIO” and what cast they are in. The Wizard of Oz is presented by arrangement with TAMS-WITMARK. All actors must completely fill out the audition form and bring three copies to auditions. Actors also need to bring three headshots (does not need to be professional quality); please have a headshot paper-clipped to each audition form. Any and all conflicts MUST be listed clearly on the audition form. Attendance is needed for rehearsals; tech week is mandatory. All actors will need to be prepared to sing We’re Off to See the Wizard. If/when printing the sheet music PDFs, make sure to check ‘fit to page’ before printing (this will ensure nothing is cut off). If you would like to audition for a different role, please click here for the ‘Auditions’ tab. 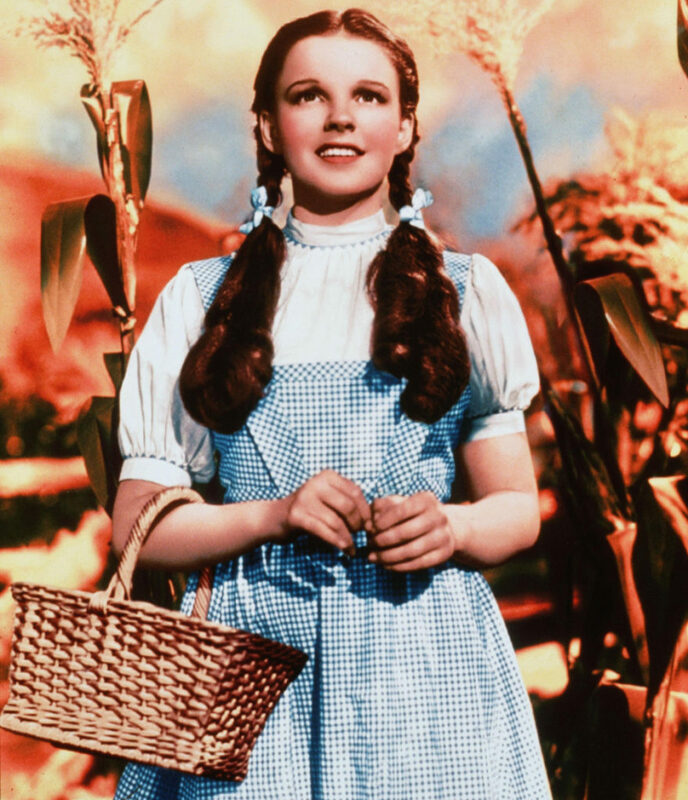 We are having a city-wide, open-casting call contest (“Search for Dorothy”) for our Dorothy. Two female actors in grades 7 – 12 will receive a scholarship of 50% off registration if selected to play the lead role of Dorothy in our upcoming production of Wizard of Oz, Youth Performers Edition! Please check the rehearsal schedule to ensure you do not have any conflicts. If you need to select a specific cast, please advise at time of your audition. In order to audition for this contest, you MUST click here to reserve your audition time slot. All actors must fill out the audition form and bring a headshot (does not need to be professional quality). You do not need to register for the show to participate in the open casting call contest for Dorothy. Register on or before Friday, November 30 and save 10%! Please join me for an important parent meeting on the first day of rehearsals. Learn from actor Byron Holder whose long list of directing and acting credits includes Broadway. Byron will also be one of the Directors and Music Directors for Wizard of Oz, so if you are planning to audition for this JPAS Production, get a leg up and sign-up for this one-day workshop! During this workshop students will discuss the backstory and overarching themes of the The Wizard of Oz, learn this year’s audition song “We’re off to see the Wizard”, how to work with an accompanist, master how to tell a story through song, and students will sharpen their vocal and audition techniques so they walk into this audition with confidence!